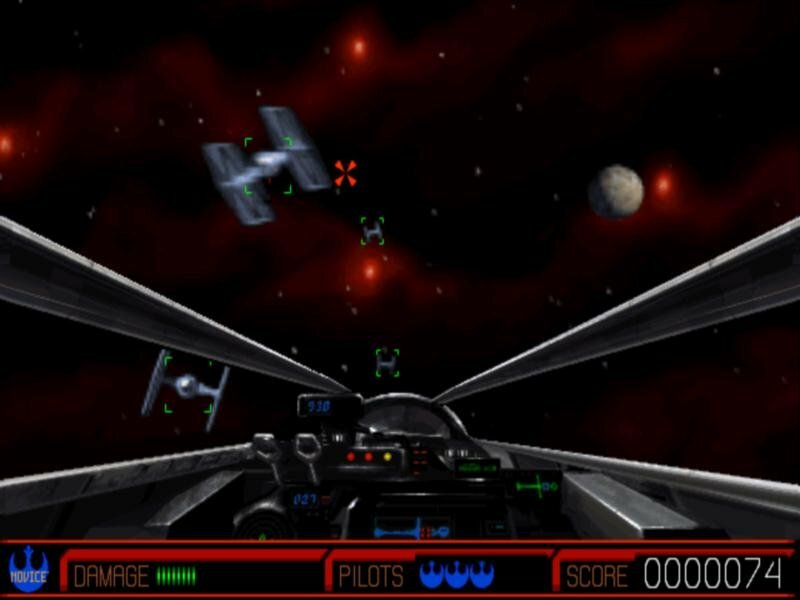 Rebel Assault 2 combines the stunning visual and sound elements of the Star Wars movie saga with an original storyline to create a true Star Wars experience. 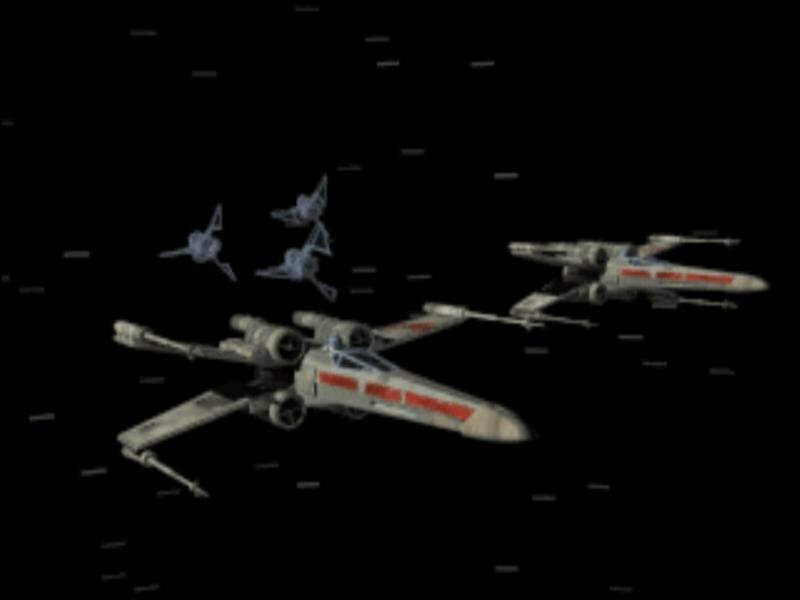 The game begins with a terrific opening movie sequence where the Empire is testing out a new, very deadly, weapon against a squadron of rebel fighters. You and your wingman are then sent to investigate the disappearance of your comrades only to meet up against this new threat. 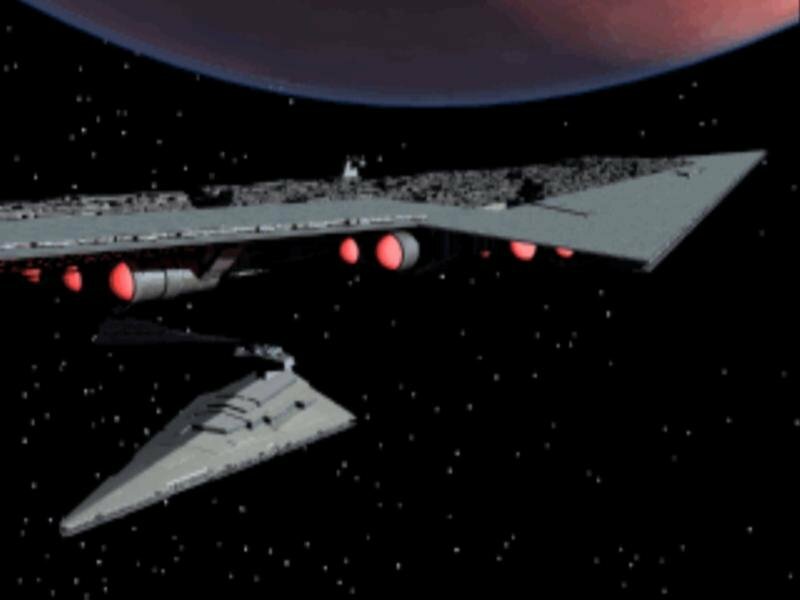 Getting blasted out space and having to crash land on a Empire planet, you then begin a series of sometimes challenging missions. 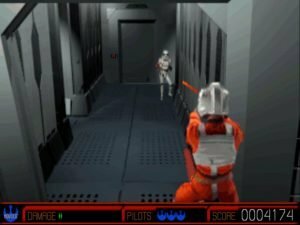 Rebel Assault 2 places you in various tactical situations, much like those in the Star Wars movies — with each having a very cool opening movie sequence lead in. 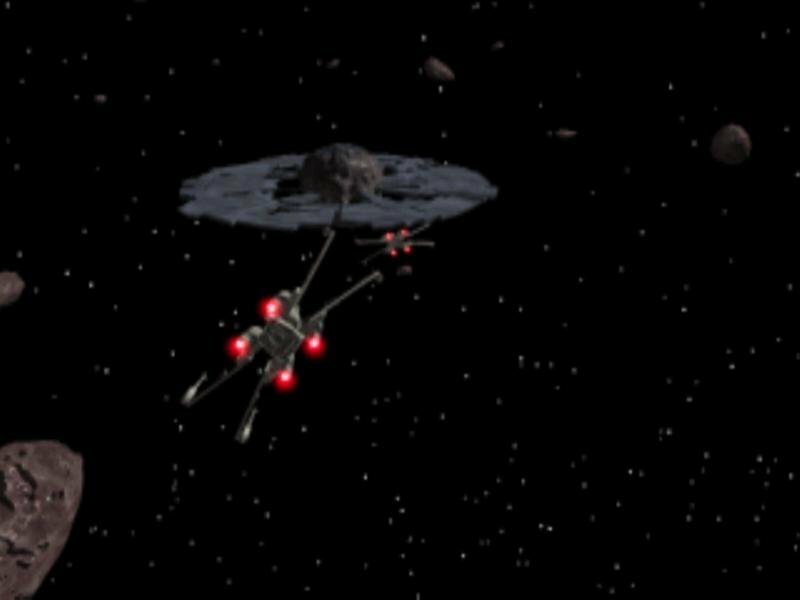 You can expect to go through anything from a standard firefight to having to manuver ships like the Millenium Falcon through caves. 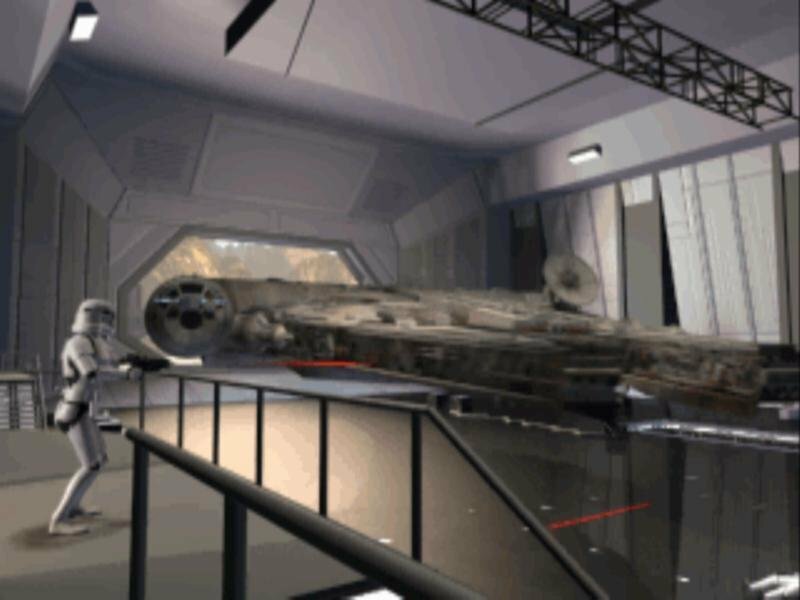 While this makes the game visually good to look at and listen to, their really isn’t much challenge or much really to do. I played throughout both CD’s of the game in under 3 hours time! 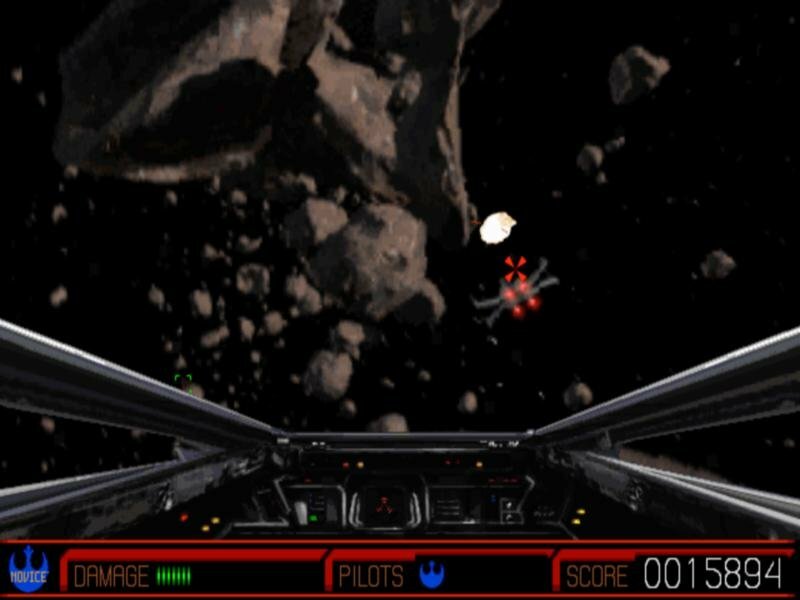 Combat scenes can be played with the mouse or joystick and are rather basic. You use one button to fire your blaster and the other to duck in and out of cover. 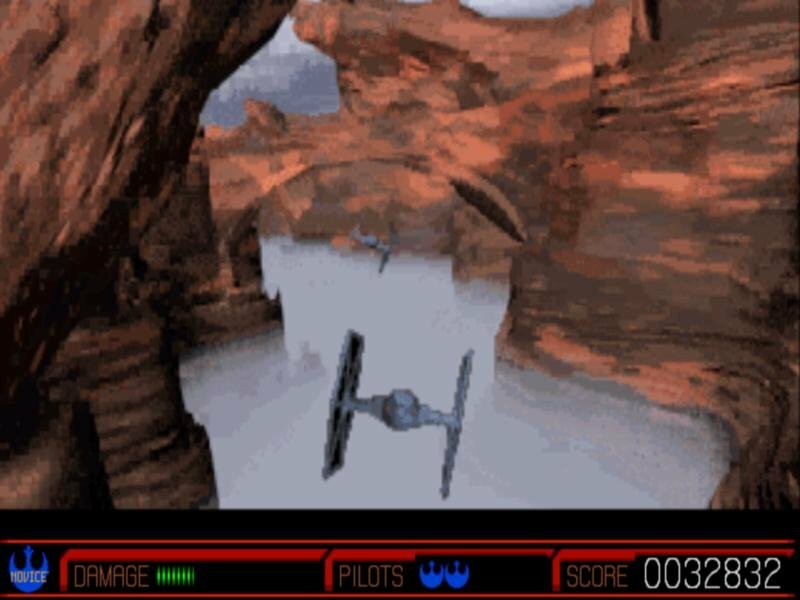 Flight based scenarios are a bit more difficult however because you have to combine precision-style shooting while not crashing into things like cavern walls. 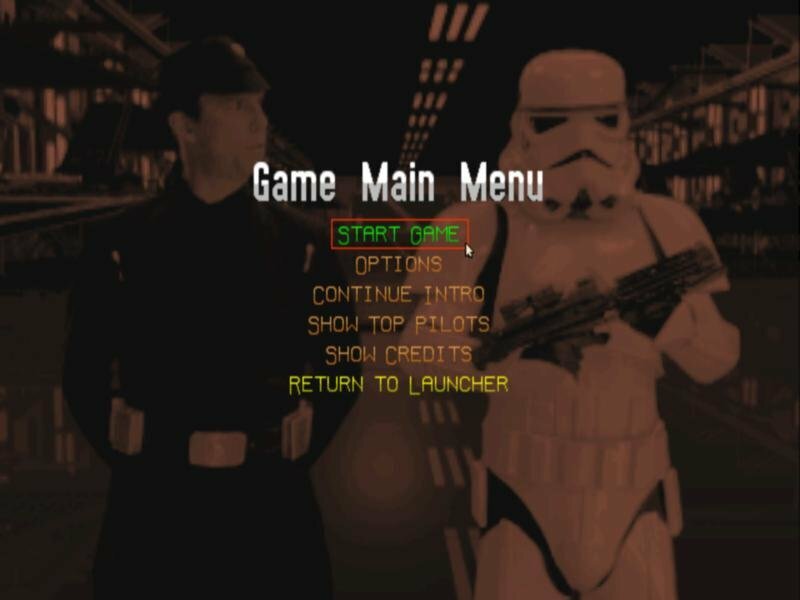 The rest of the game plays itself through the movie sequences.